Sixteen years after two passenger jets crashed into the World Trade Center in New York City, the United States is still under threat of a major terrorist attack, US intelligence services say, although contemporary jihadists tend to choose small-scale attacks and use knives or vehicles. 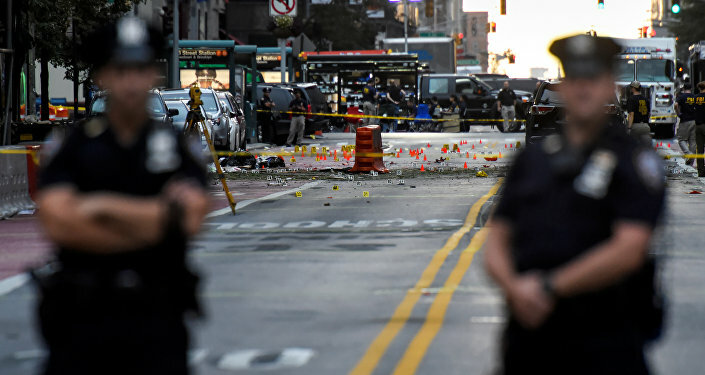 MOSCOW (Sputnik) – Acting Secretary of US Homeland Security Elaine Duke said that "the threat is still severe … The terrorist organizations, be it Daesh (ISIS) or al-Qaeda or others, want to have the big explosion like they did on 9/11. They want to take down aircraft, the intelligence is clear on that." The senior US official noted, nevertheless, that the jihadists prefer "small plots and they are happy to have the small plots. Creating terror is their goal. A bladed weapon attack causes terror and continues to disrupt the world but that does not mean they have given up on a major aviation plot," Duke added. The terrorist groups Daesh and al-Qaeda have launched a number of deadly attacks across the world over the past few years. The bloodiest one took place in Paris in November 2015; it left 130 people dead and more than 400 injured. On September 11, 2001, al-Qaeda hijackers crashed two airplanes into the World Trade Center in New York City and one into the Pentagon in Washington, DC. A fourth hijacked airplane crashed in Shanksville, Pennsylvania after the passengers tried to take back control of the plane from the terrorists. Nearly 3,000 people were killed and another 6,000 were injured in the worst-ever terrorist strike on US soil.